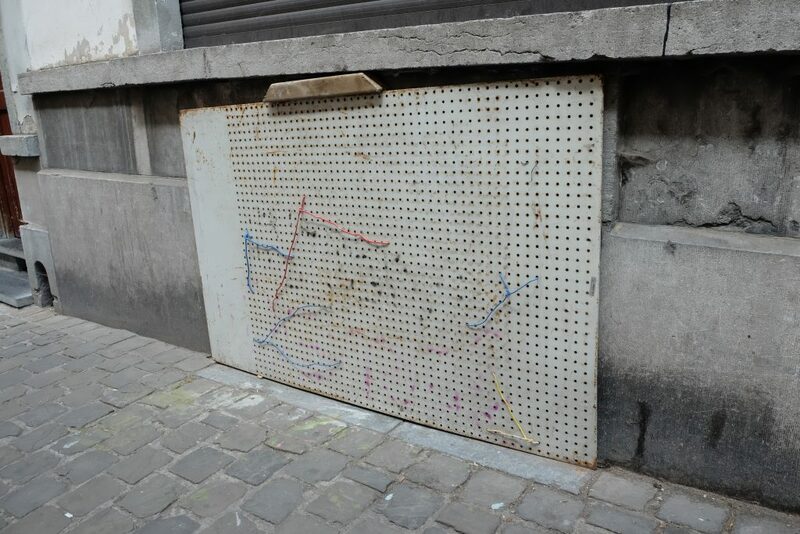 A solution to close a basement window and ventilation opening that suits the name of the street in which it houses. 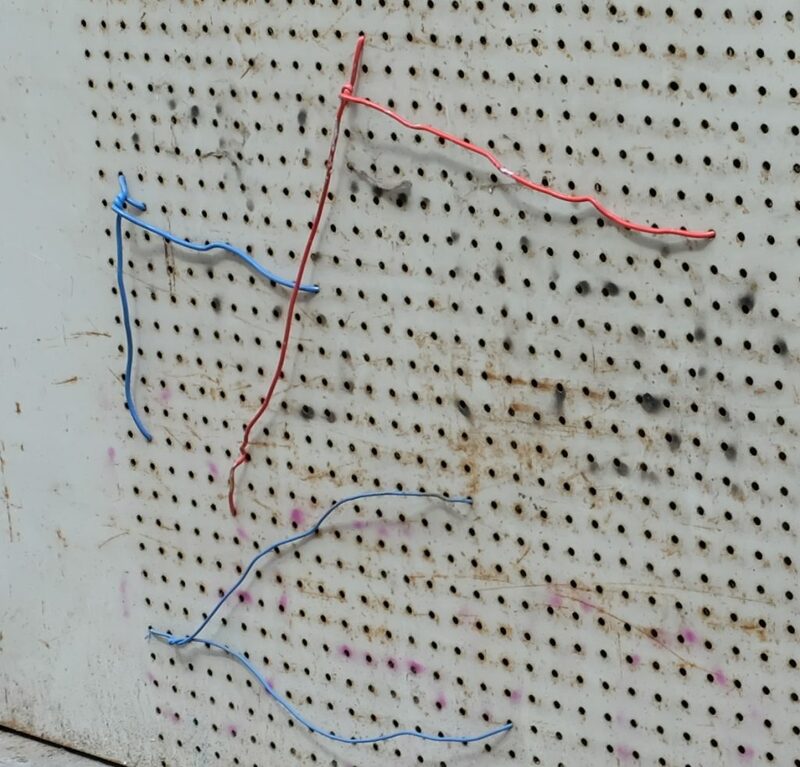 Pegboard attached with electricity wire and made to fit using a piece of wood. 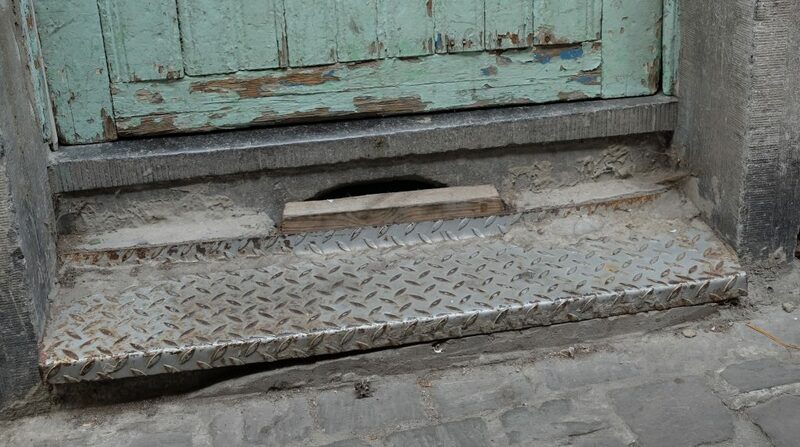 The remains of the wood are then used to close a ventilation shaft underneath the entrance door. ‘économie’ / ‘zuinigheid’ means to economise, and surely no money nor material was wasted to realise this work.